The attackers themselves were Arabs from Australia and were waved on by the security forces who stood by and watched the attack take place in Mina in tent section 40, according to witnesses. One man nearly died as he was being choked until rescued by other hajjis. The ring-leader of the attackers has been identified by witnesses as a notorious thug from Australia who has previous. He has been arrested by the Australian authorities for physically attacking other Muslims (both Sunni and Shia) who refused to support the Syrian rebels in the past. Let us be under no illusion here, these takfeeri thugs disguised as hajjis were intent on murder, they were shouting this as they launched their 200-man strong attack. They managed to strike fear in the American group, who were reluctant to return to Mina to complete their rituals due to the local police showing no interest in providing protection. Now I knew the religious police in Medina, the mutawa, are made up of zealots, ex-convicts and thugs, as I discovered by way of personal experience when I went on hajj two years ago. I’ve got used to being called a “kafir,” a ”rafidah,” amongst other things but I was completely unprepared to find out that I would be called these very same terms in Medina. After all, if I was what they were calling me, what are they doing allowing me in Medina in the first place? Arriving at Jannatul Baqi straight after reciting fajr prayers in the prophet’s mosque we were met by the customary mutaween. For Sunnis and Shias visitation to Al-Baqi is imperative. The prophet’s beloved daughter Fatima is buried here, as is the prophet’s grandson Imam Hassan, as well as the prophet’s great grandson, Imam Zainul Abedin, as is the third caliph Hazrat Usman to name just a few luminaries of Islam. The religious police are keen to watch, observe, man-handle, abuse, swear and spit at those of us who wish to pay our respects. Being called “kafir” is common place, not being allowed to recite darood sharif , and having books and prayer books ripped out of your hands are all standard. I remember an Iranian pilgrim recited darood sharif in a normal voice nearly had his arm yanked off by the mutawa. He was lucky he only lost his shirt sleeve as we pulled him away and hid him in the crowd. As I was leaving I saw a group of pilgrims from my group involved in an altercation with the mutaween. As I caught up, we walked away and carried on our way across the courtyard of the mosque to head back to the hotel only then to be “jumped” by a bunch of mutaween in full view of every one. This led to our Canadian Imam (who also doubles up as a cancer research scientist) being subjected to a beating , being arrested and disappearing off to some jail in Medina facing charges of breaking the arm of one of the mutawa. Had it not been for the Islamic Human Rights Commission and a fellow pilgrim Mr Michael Hayward’s tireless campaigning by contacting Canadian press and coordinating with the IHRC, God only knows what would have befell Usama Al Attar, the Imam. The Canadian press are to be praised as well. They took the plight of their citizen languishing in some Saudi jail extremely seriously and had him as the major news story for 24 hours on both print and television media. Imam Usama was lucky to have the IHRC campaign on his behalf and for being a Canadian citizen as he was released with no charge 36 hours later. Others are not as lucky as they are immediately deported, with any future entry into the Kingdom denied. Many questions come to mind. 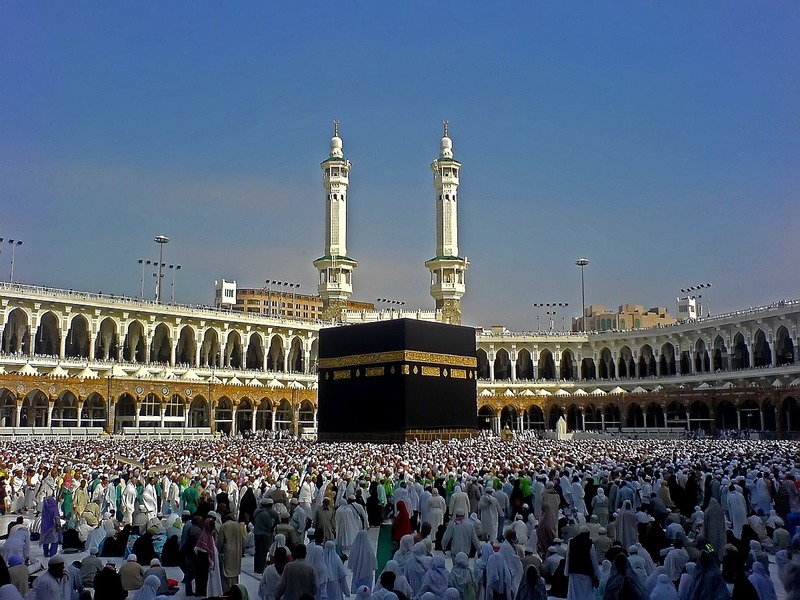 Is hajj not a time for peace, love and equality? Do the Saudis not have a duty to care and protect the hujjaj? Should any Muslim on hajj be called kafir by anyone? What sanction is there for those who create mischief? More importantly, when will we take the takfeeris head on? I fear it’s only a matter of time before we have a fatal attack on hajj.